Ground Raw Brown Flax Seeds Freshly Harvested this Season & Packaged on dedicated Allergen Free equipment in Rhode Island by our Specialy trained staff. Featured Ingredient on Dr. Oz. for multiple applications. Product of Canada. Gerbs All-Natural Pledge = No Trans-fats, No oils, No chemicals, No preservatives, No GMO’s, & Nothing artificial Ever! The way mother nature intended our foods to be, made from scratch, to taste great, with a passion for your health. 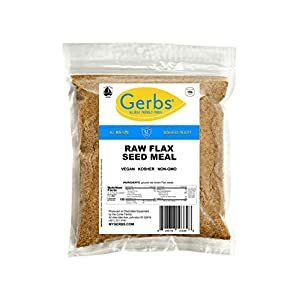 Gerbs Certified Allergen Statement: Gluten, Wheat, Peanut, Tree-Nut, Soy, Egg, Milk/Dairy, Sesame, Mustard, Shellfish & Crustacean Free. This flour mix is ideal for pizza doughs. 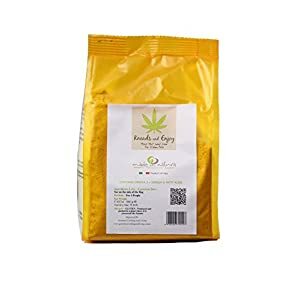 Made from hemp seeds, it is low in gluten and produces a pizza crust that is nutty and light yet nutritionally dense with protein, essential amino acids, omega fatty acids.